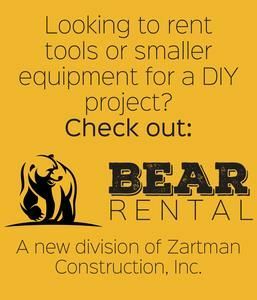 Metal Building Assembler - Zartman Construction, Inc.
Zartman Construction has an opening for a metal building assembler in Northumberland, Pa.
Summary: A metal building assembler will be responsible for erecting buildings, roof and sheet pre-engineered metal buildings. They will also assemble building from unloading to final trim. Also, the assembler will work on structural steel erection and decking. The assembler could be assigned to other divisions when work load requires (millwright) or rigging for crane. This is a safety sensitive position subject to safety training and drug screening programs.